HCA from the rind of the Tamarind fruit, may work with the body to help support your metabolism. HCA (Hydroxycitric acid) could help to support the synthesis of fatty acids and healthy cholesterol levels in the human body (lipogenesis inhibition). Our bodies convert the calories we eat into energy. During and after meals, calories that are not immediately used for energy are stored in the body in the liver and muscles as glycogen, which is a ready source of energy for the body. When glycogen stores become filled, monitors in the liver send satiety signals to the brain indicating we are full. This is one of the primary ways the appetite is reduced during a meal. However, when we take in too many calories and glycogen stores are filled, the leftover amount is converted through several steps into cholesterol or into fatty acids, which are stored throughout the body. Tamarind Fruit Extract, Microcrystalline cellulose, vegetable magnesium stearate, hypromellose coating, silicon dioxide, acacia gum. CONTAINS NO added sugar, salt, starch, soya, wheat, gluten, maize/corn, yeast, lactose, dairy products, artificial preservatives, colours or flavourings. Take 1 - 2 tablets, half an hour before a meal, up to 3 times a day or as your health professional advises. Do not exceed recommended daily intake. This bottle has a UV filter. Keep out of reach of children. Ensure lid is tight and store in a cool, dry, steam free environment as damp conditions can affect product quality. Below are reviews of HCA - Tamarind Fruit Extract - 90 Tablets by bodykind customers. If you have tried this product we'd love to hear what you think so please leave a review. 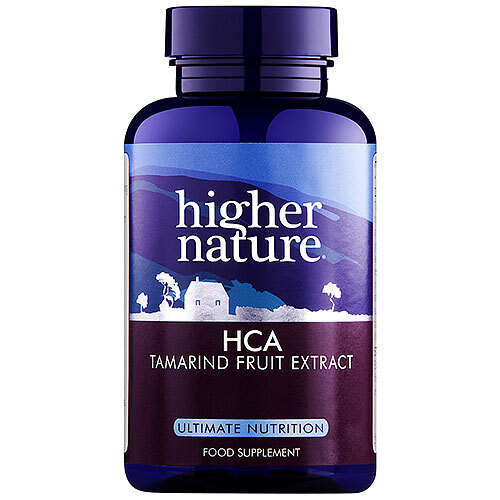 Question about HCA - Tamarind Fruit Extract - 90 Tablets I need to know how much in mg is "active" HCA? The tablets contain 750mg of Tamarind fruit extract of which is 60% HCA (Hydroxycitric acid), so 450mg per tablet. Question about HCA - Tamarind Fruit Extract - 90 Tablets is HCA dangerous? HCA is a natural extract of the tamarind fruit and it has no contraindications or reported side effects. 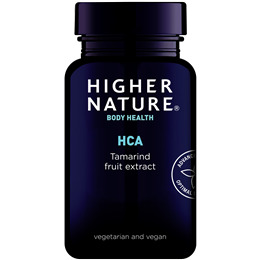 Question about HCA - Tamarind Fruit Extract - 90 Tablets Does HCA actually work as a means of weight loss or am I just wasting my time? Studies indicate that HCA may have the potential ability to block the conversion of carbohydrates into fat by inhibiting an enzyme. It also appeared to suppress appetite as well making you feel less hungry. When taken as part of a weight loss programme and coupled with a healthy balanced diet and regular exercise it should help to encourage weight loss. HCA, from the rind of the Tamarind fruit, may work with the body to help support your metabolism and reduce your appetite.